The final blog in our ‘Out & About in Geelong’ series, Director, Maree Herath gives some useful tips on Geelong’s Business Networking landscape. If you’ve decided to set up shop in Geelong we welcome you! I made my Geelong “home-coming” almost 10 years ago. I was born and raised in the region but had never done business in our town. What I’ve found is that Geelong has no shortage of business networking groups, but finding the right group to match you and your expectations is where the challenge lies. I’ve divided Geelong’s forums into particular sub groupings which should assist you find the group for you. If you’re looking to meet peers, you can’t go past The Geelong Chamber of Commerce. With over 700 members and monthly “After 5’s” with no fewer than 200 members in a room this is a good place to start. However with the sheer volume you will have to put on the bravado and walk up to strangers. Once you say it’s your first Chamber function members are obliging and will make you feel welcome. Geelong Small Business Network is another group who can help you get acquainted with the region. Start with the Facebook group to virtually meet members and look out for impromptu coffee catch ups. If you’re in professional services then The Geelong Business club may be more to your liking. Monthly dinner meetings see orchestrated networking at its best. You randomly draw a table number meaning your dinner partner is a mystery until you sit down. The dinner format allows time to really get to know others as you’ll be spending more than two hours together. There are a host of speakers lined up from politics, the Arts, Business and the local landscape which are often highly interesting also. Finally the economic division of council runs breakfast networking. You may find such events on the Geelong Events calendar. The most active and performance based group where you will be tasked with giving referrals to your peers as well as gaining referrals is BNI or Business Networking International. There are more than 6 chapters in the region for you to try. This group is best for those who operate in Essential consumer products or services – such as trades, cleaners, iPhone repairs – or essential business services from telco and electricity to graphic design, printing, websites and the like. Once you move into the non-essential product/service realm, and if your target market is bigger businesses, BNI won’t necessarily provide the return for its annual fee. The Committee for Geelong or G21 are member based organisations and both have developed to support Geelong. G21 would be more representative of the government sector while the Committee for Geelong has a mix of private and commercial businesses – start with The Geelong Leader’s Breakfast. BIG = Businesses Investing in Geelong is also committed to growing Geelong as a region of opportunity. If you’re into supporting local, there is Localised, that supports local procurement and aggregates projects, events and business opportunities in the region. Go through Facebook Localised to find the next meet-up. You can pitch your business while learning more in a certain field of business. Depending on the education you’re seeking, a host of forums can accomodate and educate. At Entrepreneurs Geelong, you will always hear from a speaker who’s walked the journey of a start up. Great learning and tips to walk away with. Small Business Smart Business has held a range of forums from setting up websites to time management. This group sits under Geelong Chamber of Commerce and it offers a number of workshops. Other parts of the region offer workshop based formats where you can Learn while meeting peers. Both the Bellarine and Queenscliff offer informative workshops to help you grow. The Torquay Chamber is also part networking and part education. In August every year you can’t go past the Small Business Festival. In Geelong over 30 events are structured around networking, business development, social media and managing people – here you put education in overdrive. The Small Business Mentoring Service, while not a forum allows you to tab into mentors from the region who can also help you fast track growth. Here, in addition to the Bellarine or SurfCoast, there is the Lara Chamber of Commerce, East Geelong Networking Group and more allowing you to find something on your doorstep. Business and Professional Women International is one of the more established women’s groups – the purpose is more for education, mentoring and lobbying women’s issues. This group comprises aspiring leaders, divisional managers and business owners. 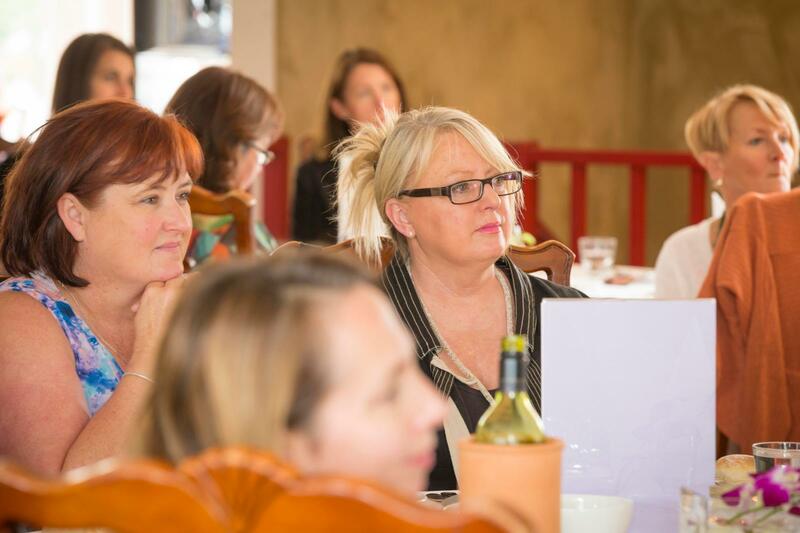 Geelong Women in Business can be found on Facebook. Started by GenY Samantha Krajina it is an informal group that comes together when a speaker is found or for a purpose where Samantha sees a gap. Stay on their Facebook page to know what’s coming up. This is a group of really diverse women from make-up artists to lawyers. This group allows for networking, support and education, usually around the challenges women face in business. Go to their Facebook page “Business in Heels” to learn more. (iii) For Engineers and Manufacturers – The Geelong Manufacturing Council and it’s subset Engineering Network Geelong are established purely for this industry and you can learn about advances in manufacturing or management thinking. There is also the Geelong Women in Manufacturing Network – a subset for women who have found their way in manufacturing. This group aims at helping women progress and succeed within the manufacturing world. If you are test running an idea and want to turn it into a commercial enterprise then you really can’t go past Runway Geelong. It’s an extensive program but it will get you onto a trajectory towards success quickly. An advanced manufacturing incubator is Manufutures at Deakin. Selection criterion is stringent as there are only a certain number of bays which are provided at subsidised rates. Potential participants are encouraged to tap into Deakin students for research into an advanced manufacturing concept or hire a graduate from Deakin as you grow. Technology Geelong is a small group, but worth exploring if you’re in the tech field. In addition to the above you may find a home in Rotary, the Lions Club or a Toastmasters Group. The list, for a Regional Centre, is endless. Get involved, get connected, find your tribe and go for it! The Geelong Business Network is booming and there really has never been a better time to do business in Geelong.